Brown-Forman, has announced the launch of the latest release from its Kentucky based, Woodford Reserve distillery. Woodford Reserve Double Double Oaked - 2019 Edition (45.2% ABV) has been produced using the brands signature bourbon, which has been finished for a further two years in a second barrel that is heavily toasted and lightly charred. This latest release in the annual series which started in 2015, celebrates Woodford Reserve’s Master Distiller Chris Morris’s commitment to innovation and craftsmanship. Woodford Reserve Double Double Oaked, is said to deliver notes of rich maple syrup, dark butterscotch, brittle caramel, bittersweet chocolate, burnt marshmallow and sweet hickory smoke on the nose. Followed by notes of rich dried cherry, cranberry, blackberry jam, ripe apple, chai tea and warming clove on the palate. 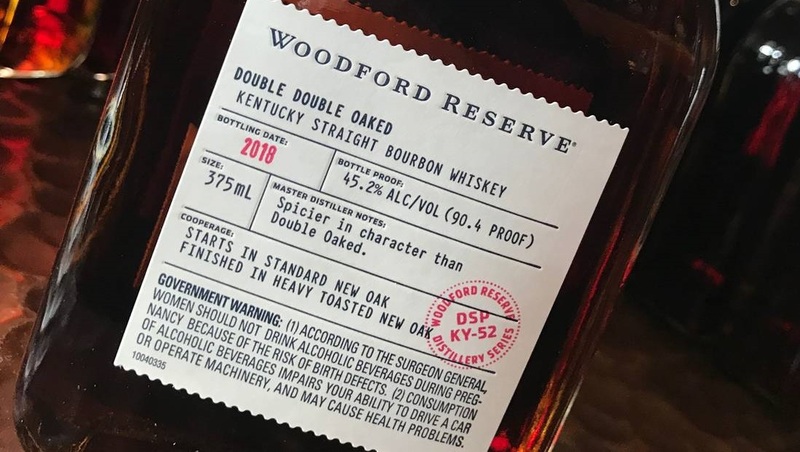 Woodford Reserve Double Double Oaked, will be available later this month exclusively from the Woodford Reserve Distillery, for a RRP of $49.99 – 375ml.